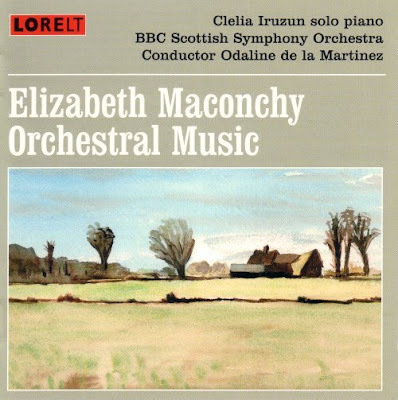 Elizabeth Maconchy's The Land, a suite for orchestra was given its world premiere by Henry Wood and the BBC Symphony Orchestra at a Promenade Concert in August 1930 and the twenty-three year old composer's Prom debut received Dudamelesque press coverage including the headline 'Girl Composer's Triumph'. It may have been Elizabeth Maconchy's first Proms performance but it definitely was not the first performance by a woman (sorry girl) composer. But what was? My money would be on the October 1902 performance of the Dance from Ethel Smyth's opera Der Wald. But I have never been very successful at betting and I await correction by collaborative readers. With the exception of Nicholas Kenyon's notorious female free 2006 Proms season, for which the Queen made him a night of the male composers, women composers are better accepted than women conductors - both at the BBC Proms and elsewhere. Is it because the Karajan-style macho male stereotype still dominates conducting? But let's continue down that path. A few years ago I pointed out that Nicholas Kenyon's official BBC Proms history omitted any mention of the first woman conductor, and subsequently Odaline de la Martinez confirmed on these pages that her 1984 Prom was indeed the first by a woman conductor at the Proms. Which means there was a an eighty-two year gap between Ethel Smyth's first Proms performance and Odaline de la Martinez's pioneering appearance on the podium. 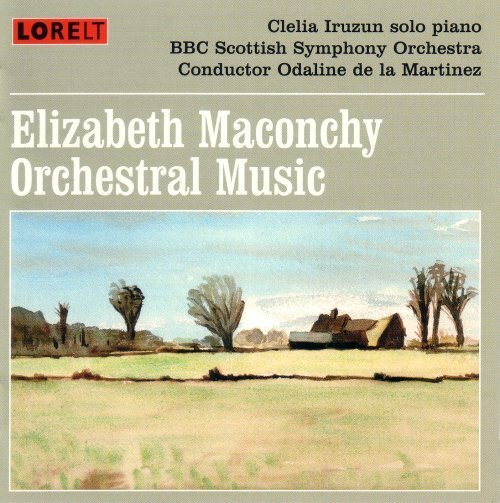 At which point paths felicitously converge as Odaline de la Martinez is the conductor of a new recording of Elizabeth Maconchy's music, which includes The Land, a suite for orchestra. Box ticking is the plague of the 21st century. Which is not going to stop me saying that this new release of Elizaeth Maconchy's orchestral music ticks every conceivable box. A truly distinctive musical voice bearing hints of Bartok, Janacek and even Berg. A programme that includes Maconchy's arguably greatest achievement, her 1952/3 Symphony for Double String Orchestra. Passionate advocacy from the free-spirited BBC Scottish Sympony Orchestra under Odaline de la Martinez. Gloriously full-bodied and vivid sound captured in the City Halls, Glasgow. And released on the musician owned Lorelt label that specialises in contemporary and particularly women composers. If classical music insists on awarding absurd $1 million dollar prizes please can one be given to all involved with this CD. 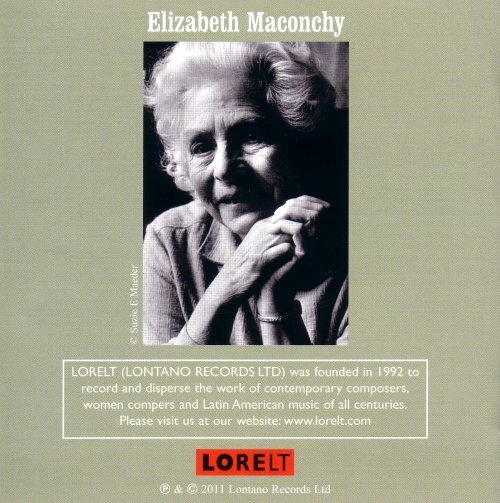 More on Elizabeth Maconchy in How important is a composer's music? 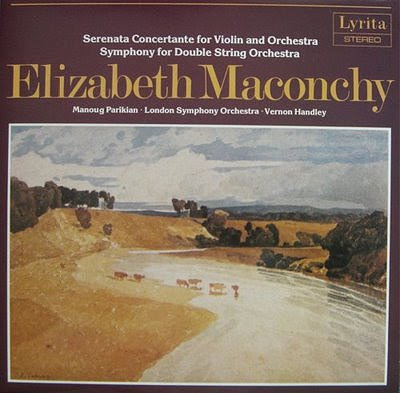 * I bought the CD of Elizabeth Maconchy's orchestral music online. The survival of independent retailers is very close to my heart. But what chance that survival when HMV offer prices like this online? * Check out the full programme of the 1930 Prom in which Elizabeth Maconchy's Land was premiered. Are today's concert goers being shortchanged? * Mention must also be made of Lyrita's work on behalf of Elizabeth Maconcy's music. Below is my 1982 LP from Vernon Handley and the London Symphony Orchestra which includes her Symphony for Double String Orchestra. The LP is available as a supplemented CD transfer. Visual trivia - the watercolours on the Lorelt and Lyrita sleeves are not by the same artist despite their visual similarity. The Lyrita artist is John Sell Cotman (1782-1842) while the Lorelt artist is by Elizabeth Maconchy's husband the medical librarian William LeFanu (1904-1995). This cd now goes to the top of my acquisition list. Thank you for calling our attention to it. It boggles the mind to ponder what would be possible if million dollar prizes were thoughtfully given out to those who would put them to work in truly creative ways. This recording is just what I would want to see created as a result of such a well considered award. Bravo to Ms. de la Martinez! If any prize-givers are now reading and have a spare million (or less) burning a hole in their pockets, I have a few ideas for you. Are you acquainted with a website named songcography.com? I ask because I came upon it by chance this morning and found myself looking at the post on Elizabeth Maconchy I had read earlier -- yours. The trouble is that nowhere on there can I see any acknowledgement of whence the post came. It's an oddly anonymous site and I could not even find a statement of its purpose. Anyway, thought I should mention it to you. Yes Philip, I am aware of songcography.com. It is yet another blog scraper that steals content to build sites. There have been a number over the years, this is currently the most active. There is not much that can be done about them, although I have reported songcography.com to the BBC who promptly removed any links to it. More an irritant and confuser than doing any real harm.